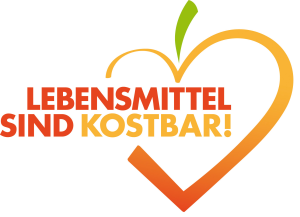 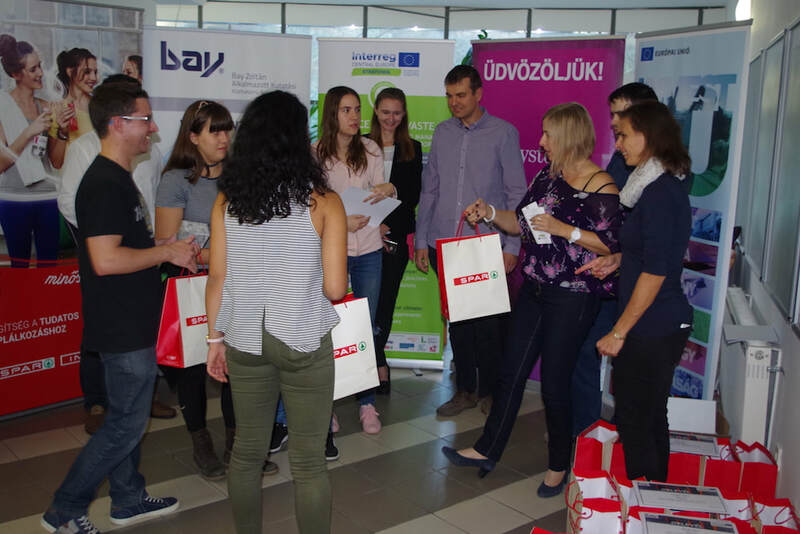 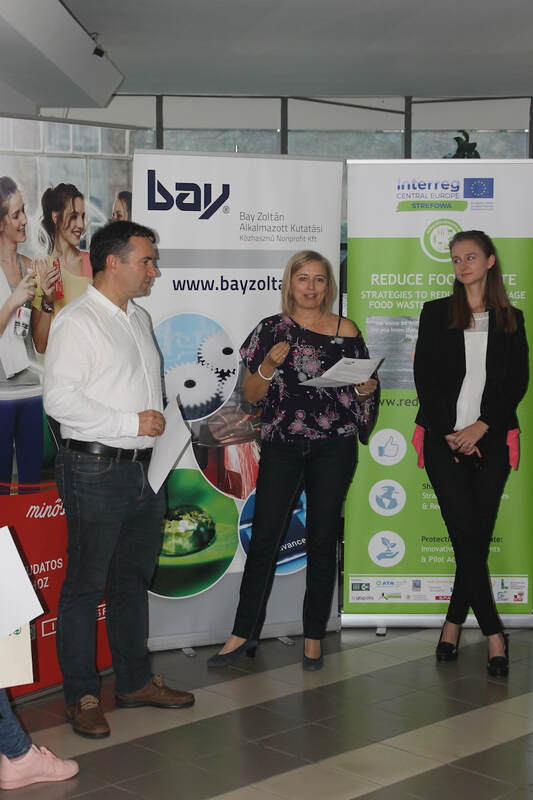 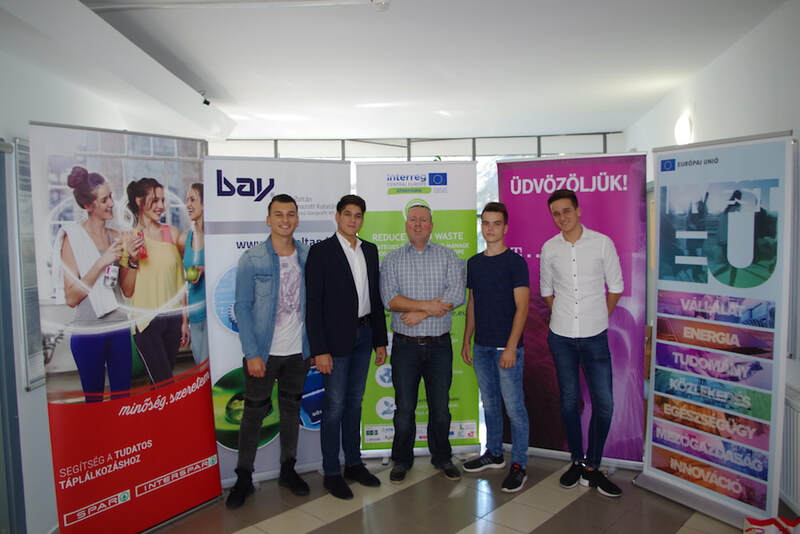 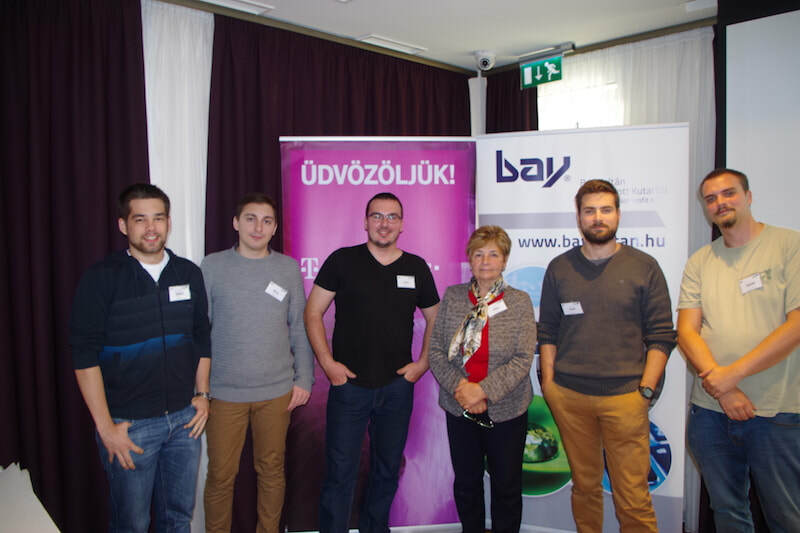 The 28th (10:00-19:00) and 29th (09:00-17:00) of September 2017 in Miskolc, organized by Bay Zoltán Nonprofit Ltd. for Applied Research and Square Bracket, was dedicated to reduce food waste with smart ideas. 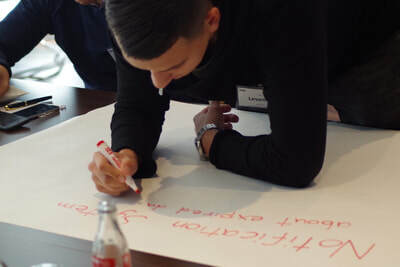 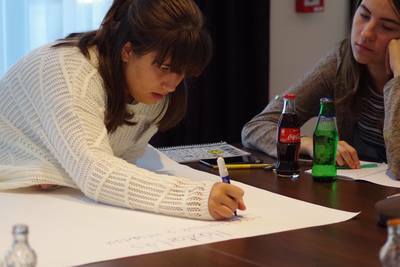 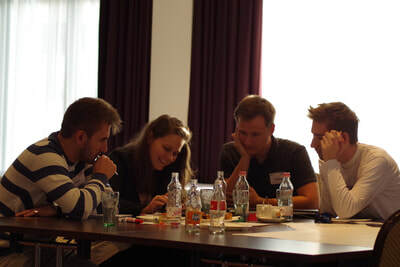 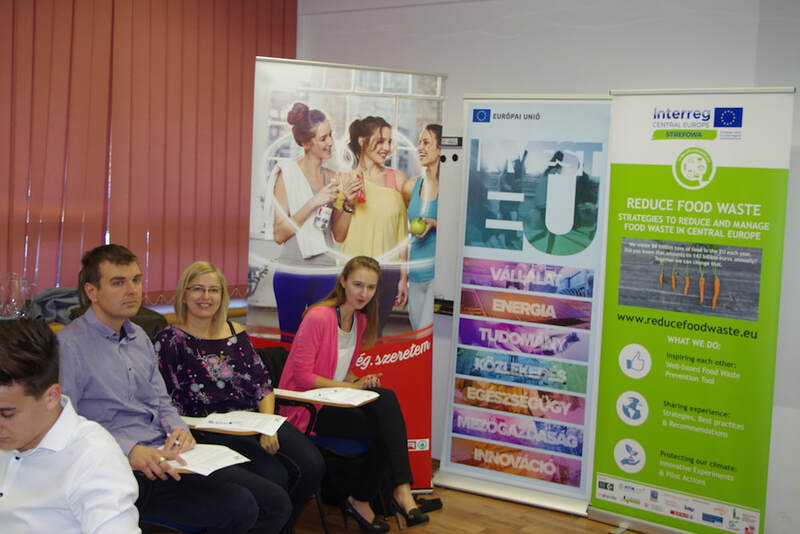 36 participants, mainly pupils, students and professionals joined the 2 day event to contributed their ideas and skills to reducefoodwaste in Hungary. 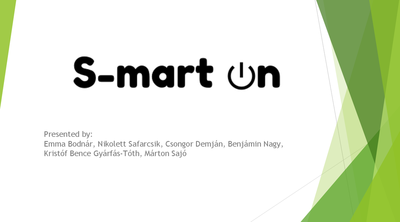 SmartOn won the competition and the prize worth 100 000 Ft.
the environmental and economic impacts. 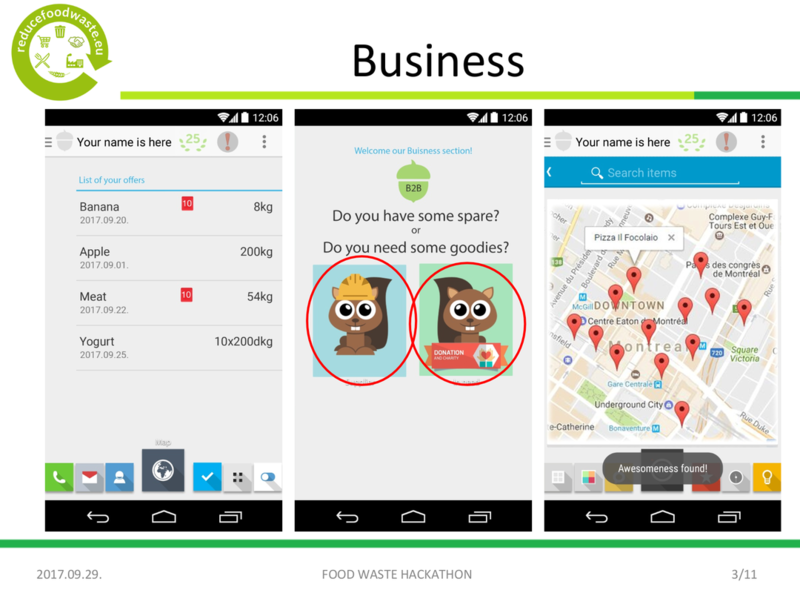 The app uses available database and it focus own-branded products. 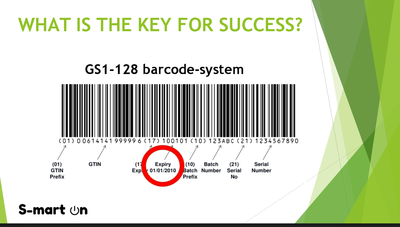 The team idea is to introduce a new and innovative type of bar codes. 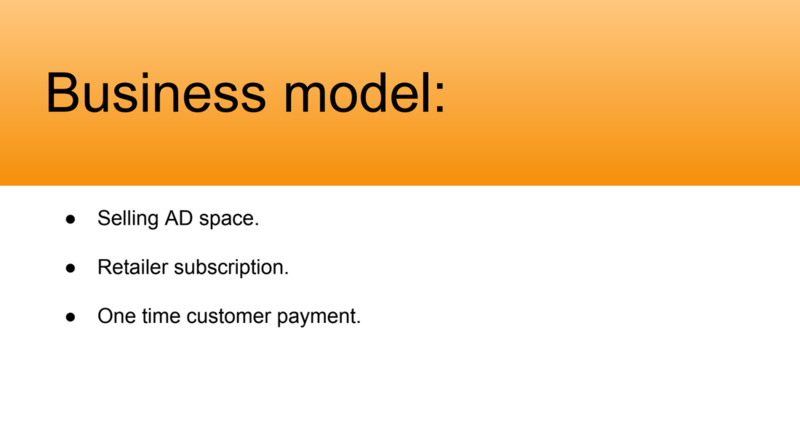 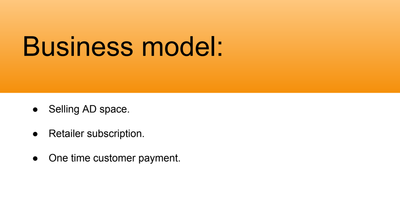 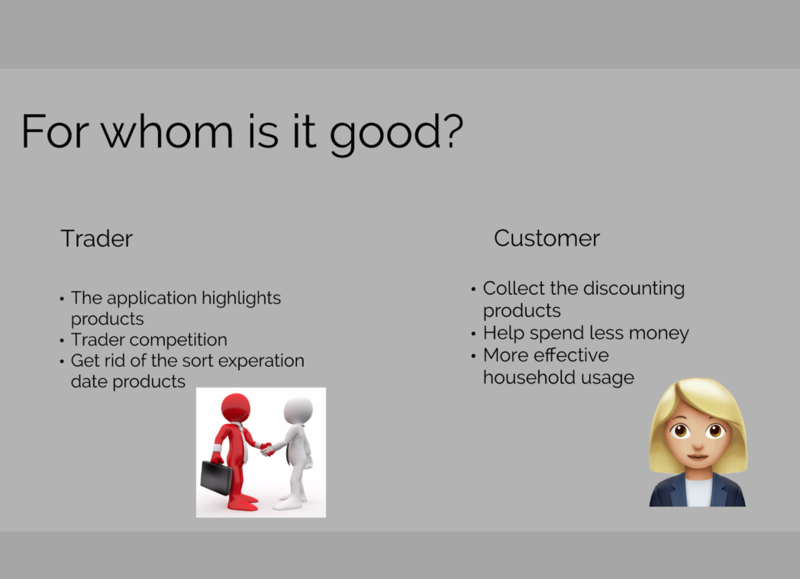 The customers can collect points (e.g. 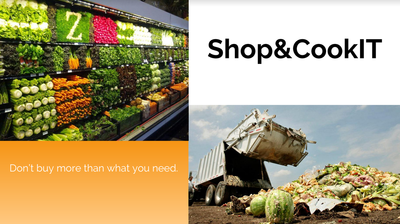 : discount card) if they buy close to the expiration-date products. 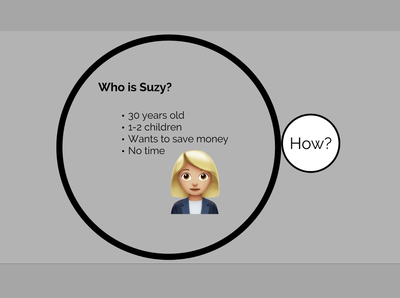 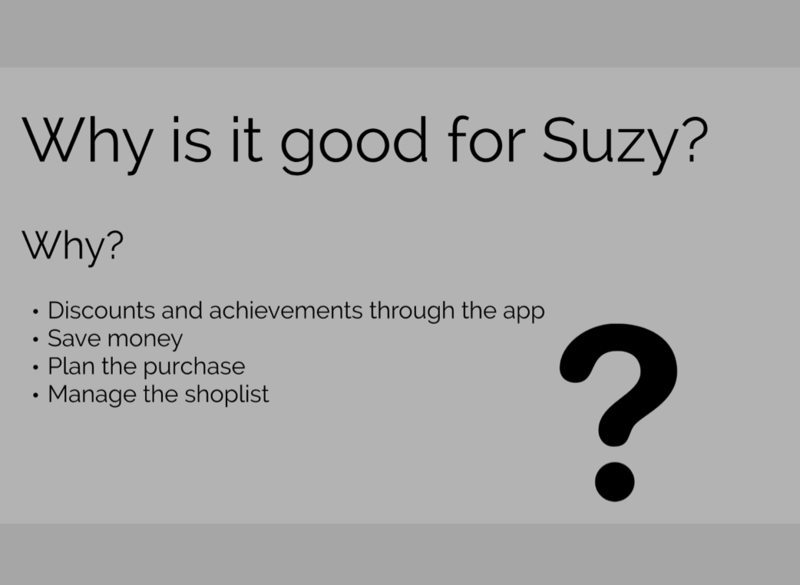 The App Wasted helps stressed people, like Suzy to waste less food and save money, by helping to plan shopping trips, manage the list easily and even get discounts buying through the app. 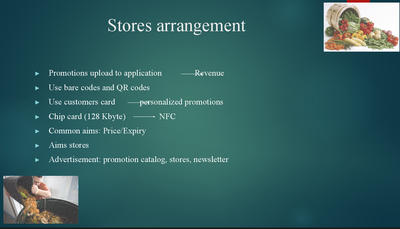 The database contains the opening hours of the shops. 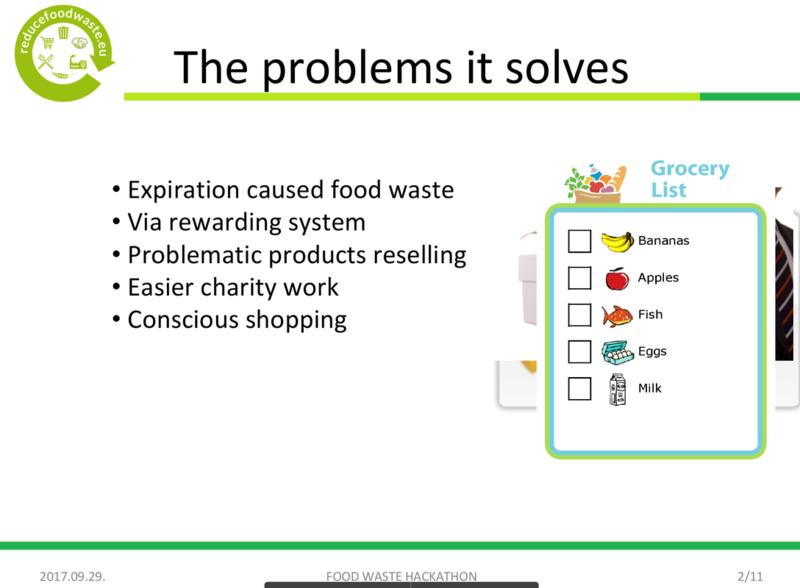 The customers can save the shopping list and favor products. The customers take photo the expiration-date of the product with their mobile and this date will be saved in the database. 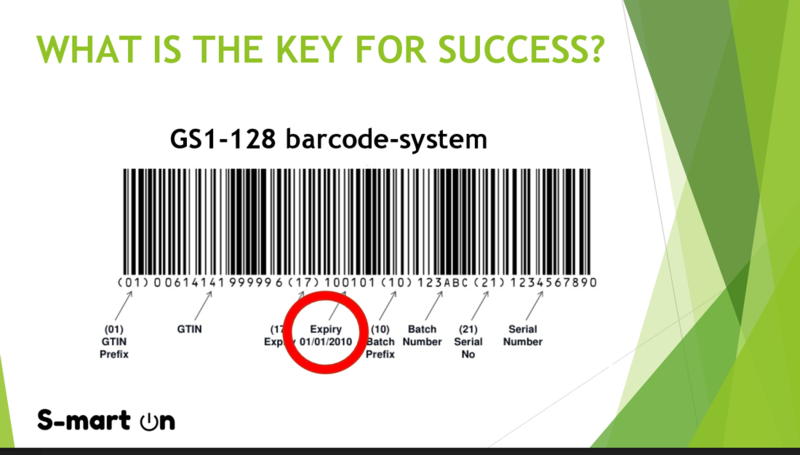 An alarm will be sent if product is too close to the expiration date. 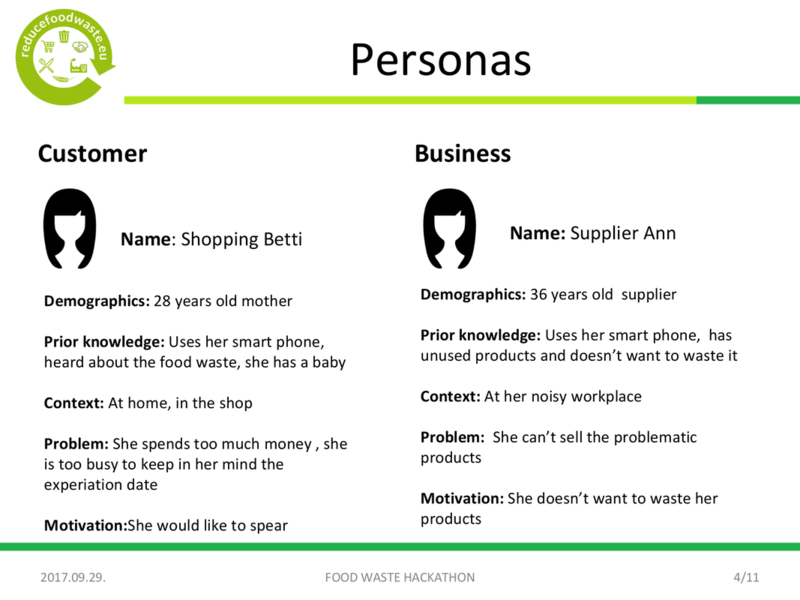 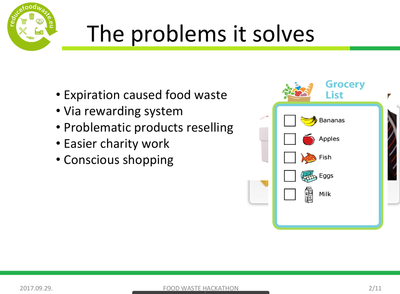 This team focussed on the idea to reducefoodwaste through offering consumers online shopping in supermarkets, that combines an online shopping app with a smart cooking app. Whenever you buy something, that app knows what you have at home and suggests you recipes accordingly. 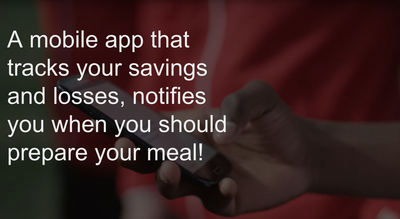 You can vote on the recipes, so the smart cooking app learns your taste and suggests you only recipes you like. 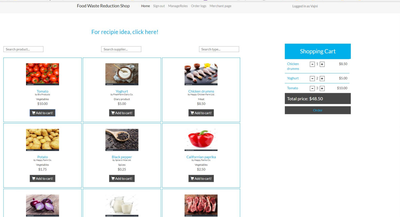 It also asks you if you really cooked what was suggested, so that it keeps track of your stock. 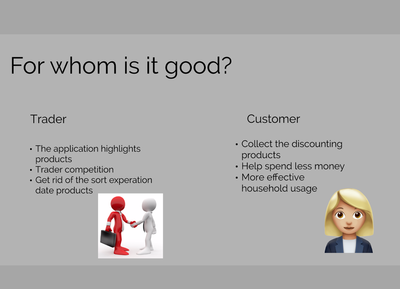 Knowing what you buy it recommends you shopping lists and questions your decisions, so that you buy only what you will use. 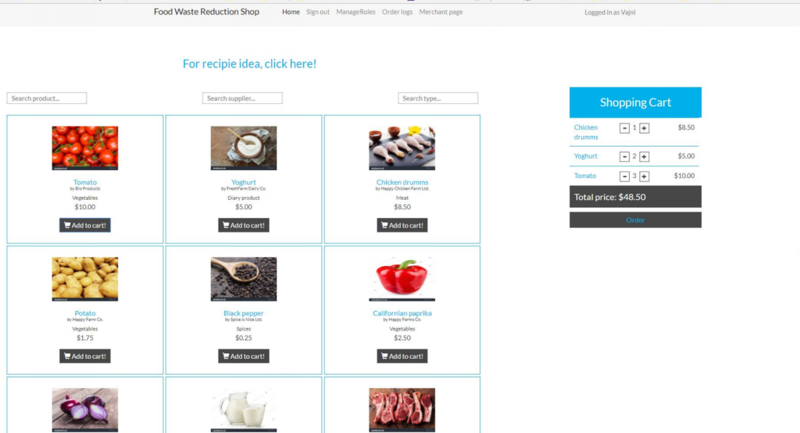 The web shop also offers, the recipe book prefers those products which have close expiration-date. 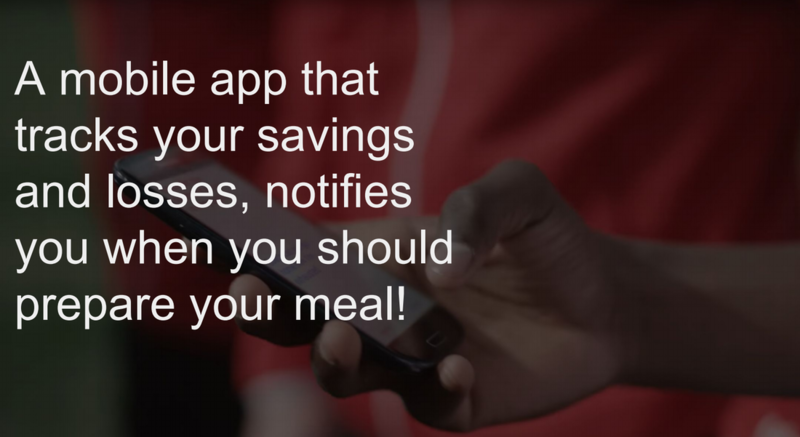 The app counts the amount of the lost and saved food. 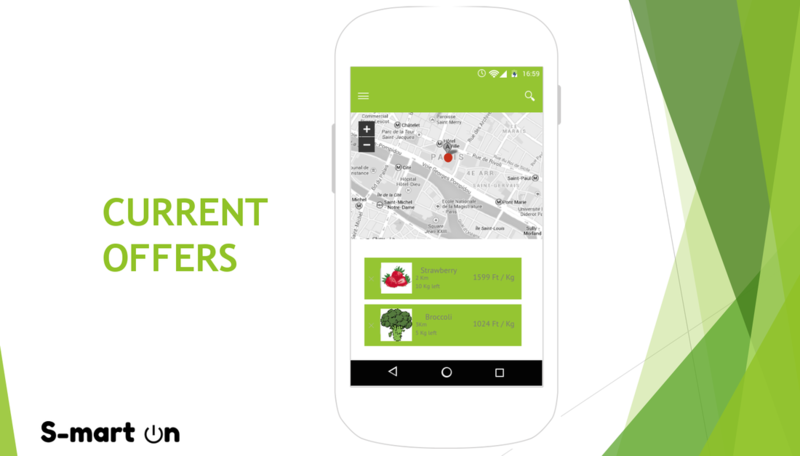 Squirrel is an app to help consumers and shop owners to reduce food waste. 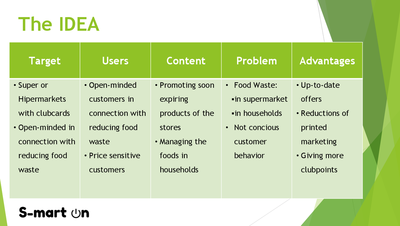 On the consumer side it informs the consumer to shop wisely, keep track of what is at home and encourages the use up food with a reward system. 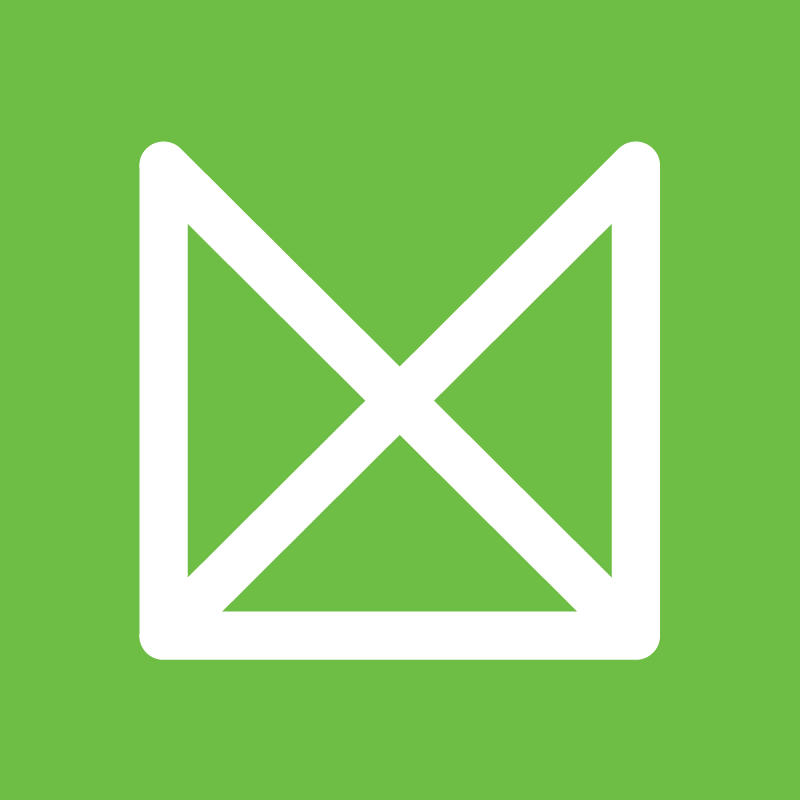 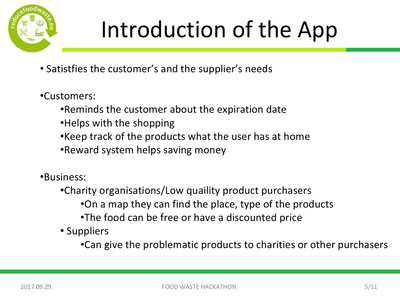 On the supplier side the app helps to connect shops and charity organisations to make donation of food that cannot be sold at the store anymore, easier. 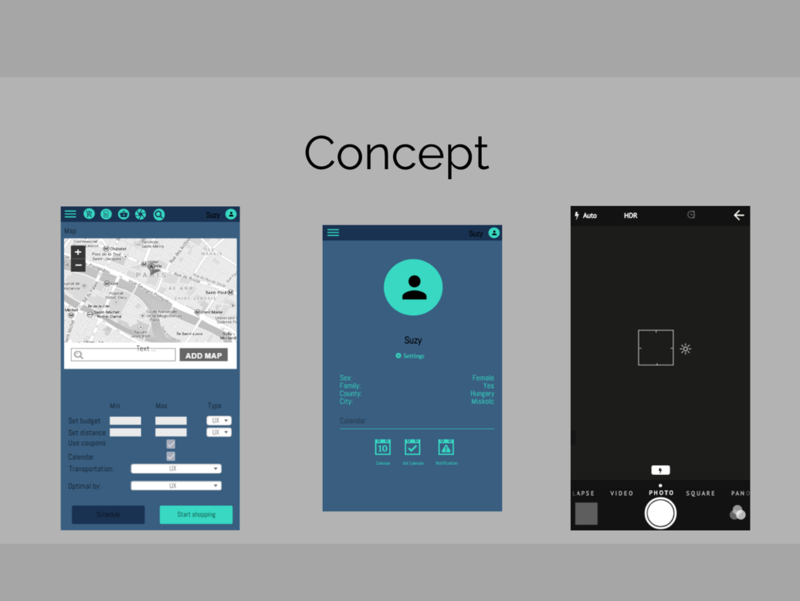 The app uses the image processing and NFC technology. 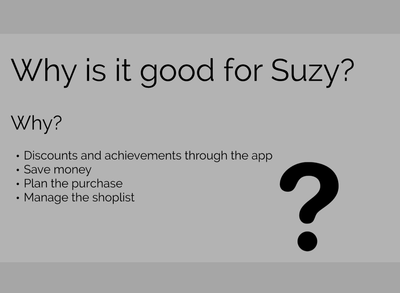 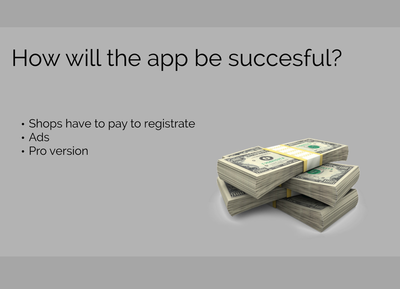 The app motivates the users by a competition with each other for extra points, which can be cashed when shopping. 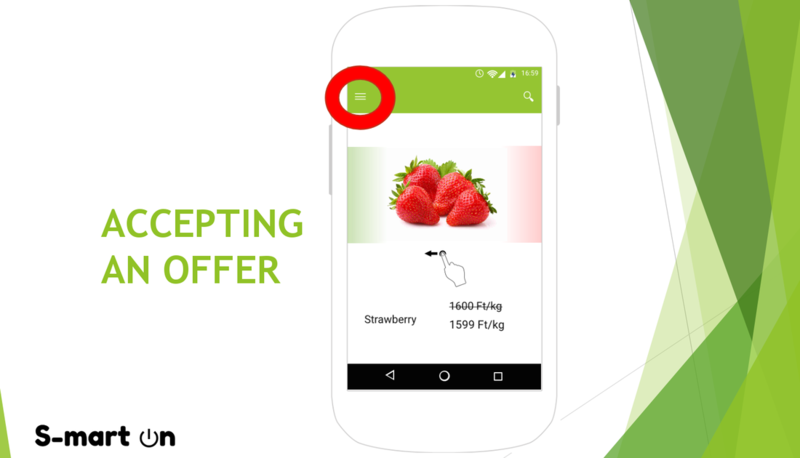 The app uses the barcode and QR Code in combination with the store customer bonus card. It aims to reduce the price of soon to expired products. 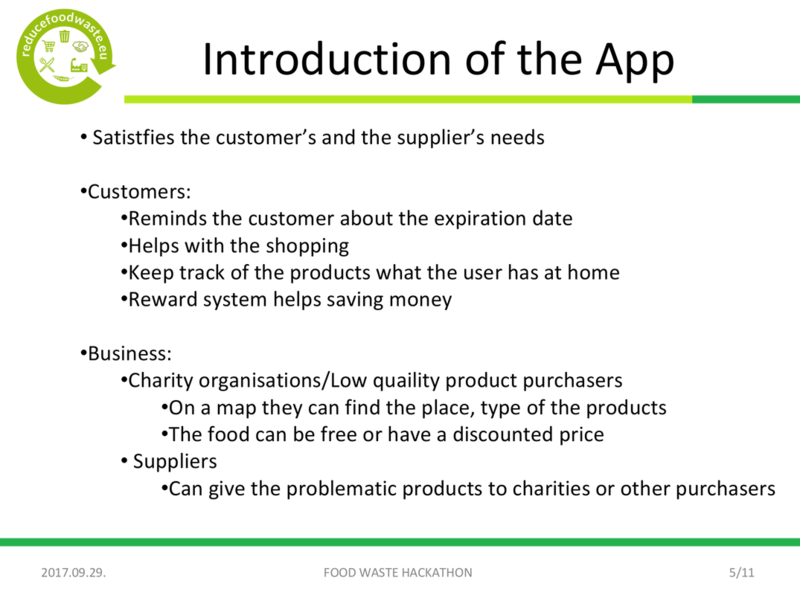 The data collected in the app can help the consumers to better manage their stock of food at home and they will receive recipes to use their food at home. 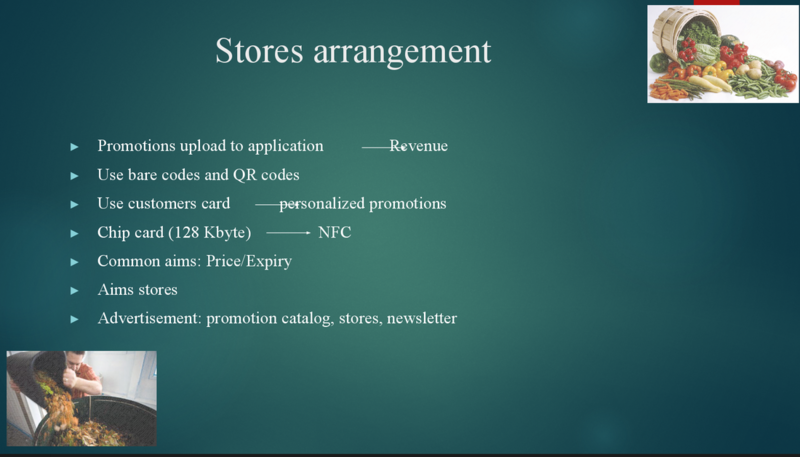 There is also an integrated shopping list function. 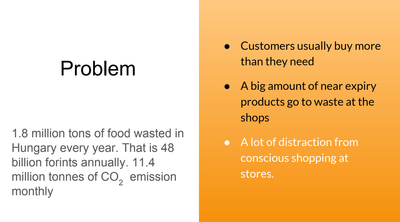 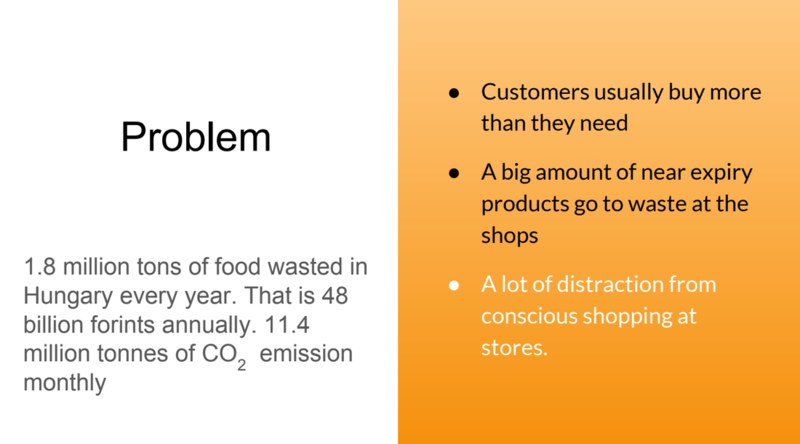 What is the impact on reduction of food waste? 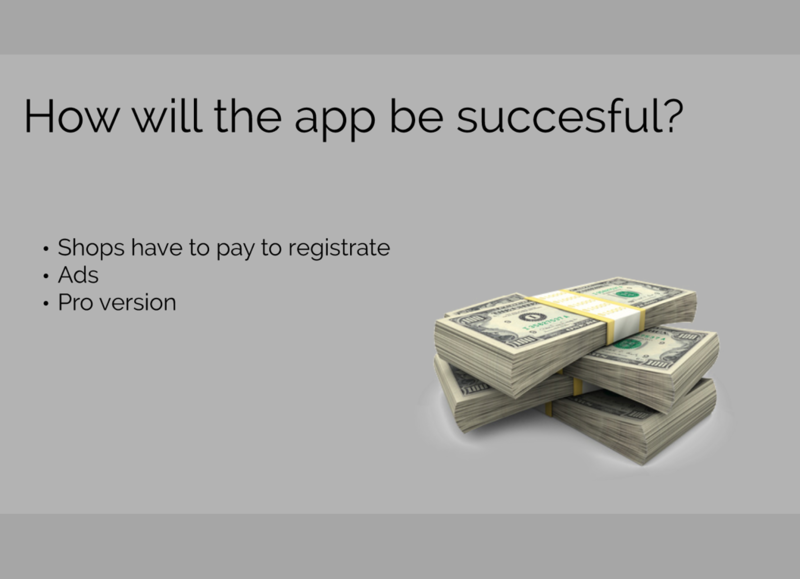 How well planned is the app? 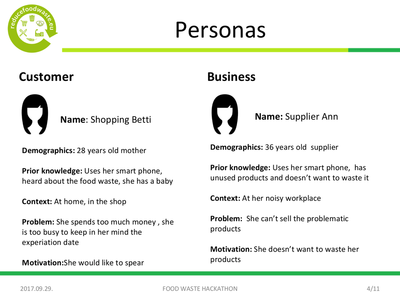 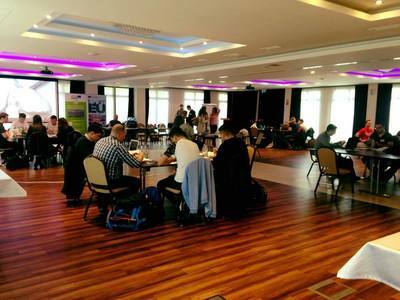 How good is the outcome of the 2 days Hackathon? 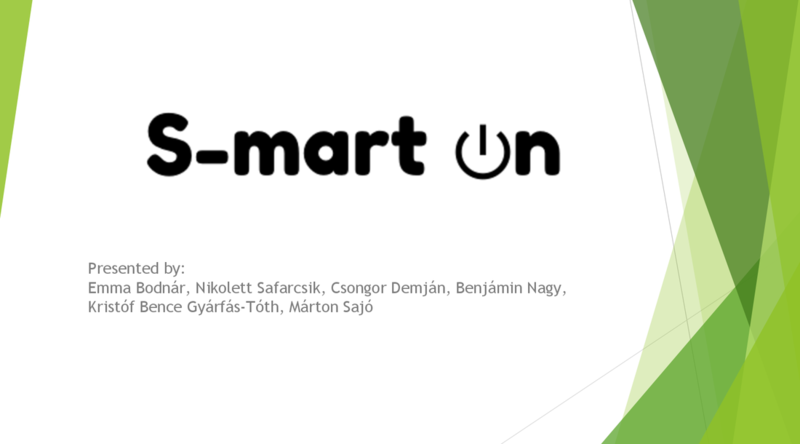 ​and choose the team with the idea ... SmartON. 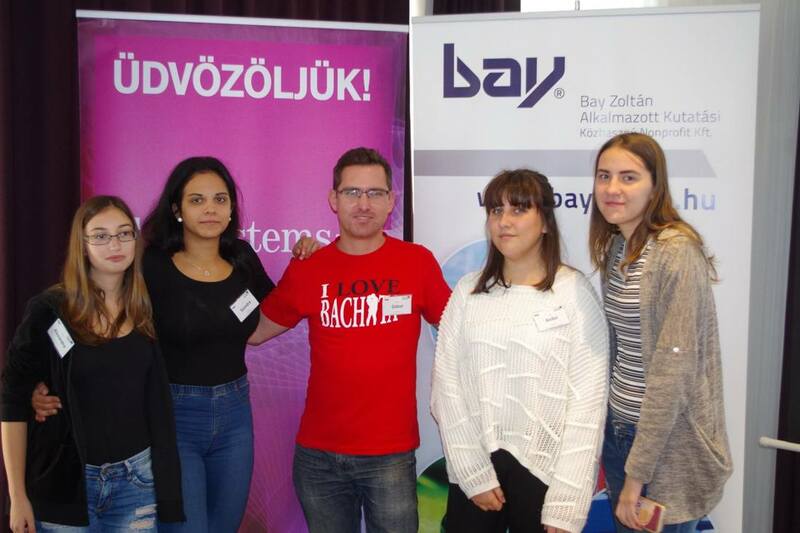 The main prize of the competition was offered by T-Systems Magyarország Zrt. 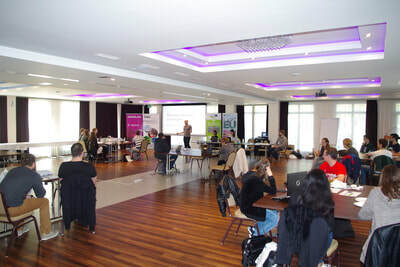 (HUF 100 000) and also SPAR Magyarország Kft., Szinva Net Informatikai Zrt., and UX Studio supported the event. 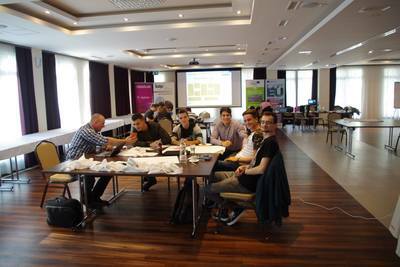 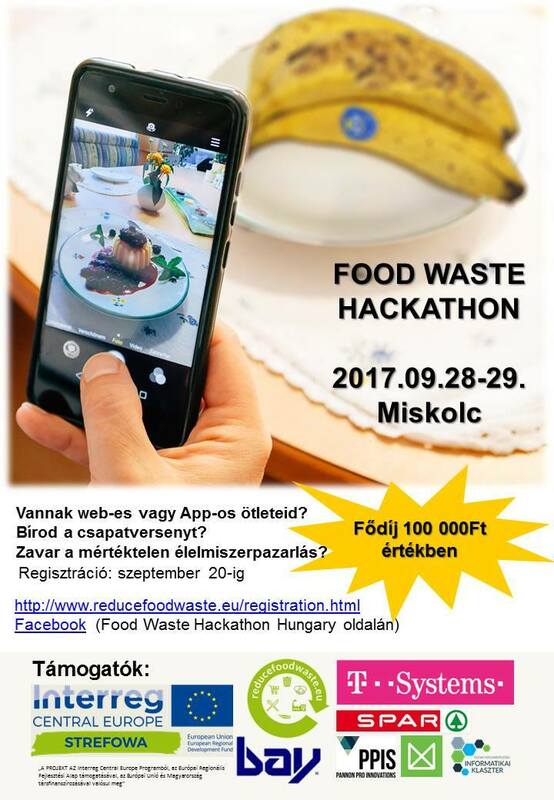 The Food Waste Hackathon in Miskolc was part of the Researcher's Night. 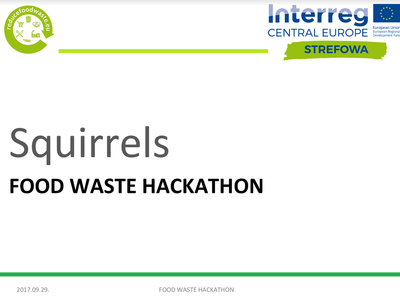 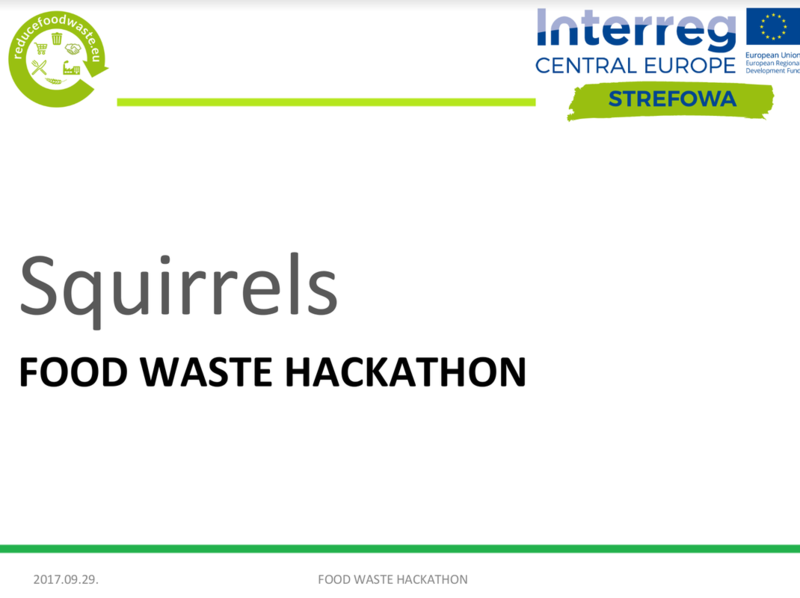 Thanks to the supporter of the Food Waste Hackathon in Miskolc we could provide the winning team with 100 000 Ft.